Okay, this has to be first mentioned because I’ve visited this restaurant 3 times now and it’s one of my favourites. It’s a new restaurant in the GTA that is around the Roncesvalles area. It’s gorgeous interior has mustard stools at the bar and the prettiest burgundy and evergreen couches. Along the walls there’s golden vintage frames and huge bulbs for lighting. 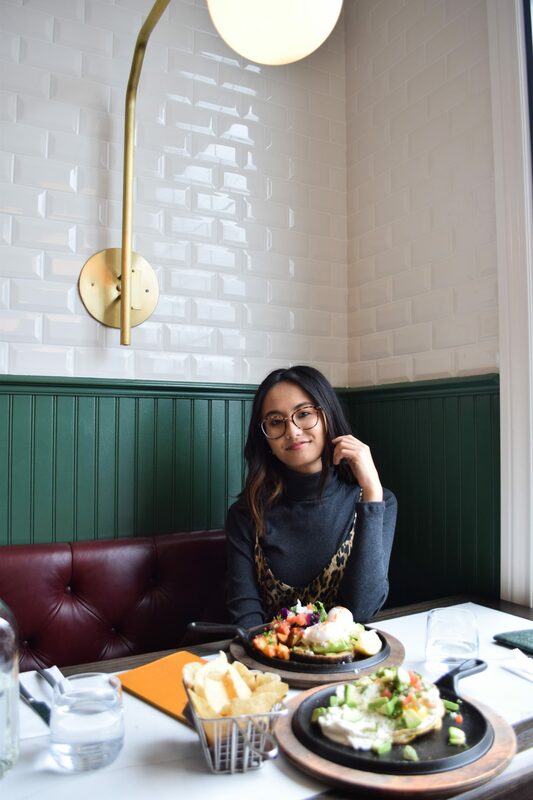 Besides the gorgeous interior, I have to talk about the food…I’ve gone for both brunch and dinner and let me just tell you, it’s one of the best burgers I’ve ever had and the fries are on another world. If you love salt, you’ll be in for a treat here! Their brunch selection is also great. The menu itself is very affordable. It’s no fast food restaurant, but it’s in the same ballpark price point wise as Jack Astor’s or Kelsey’s. The Goods is a vegetarian and vegan restaurant in a small and minimalistic place. They have a giant mirror, plants, and a textured beige wall that is perfect for photo opps. With that aside, they do offer small portions but it is delicious. 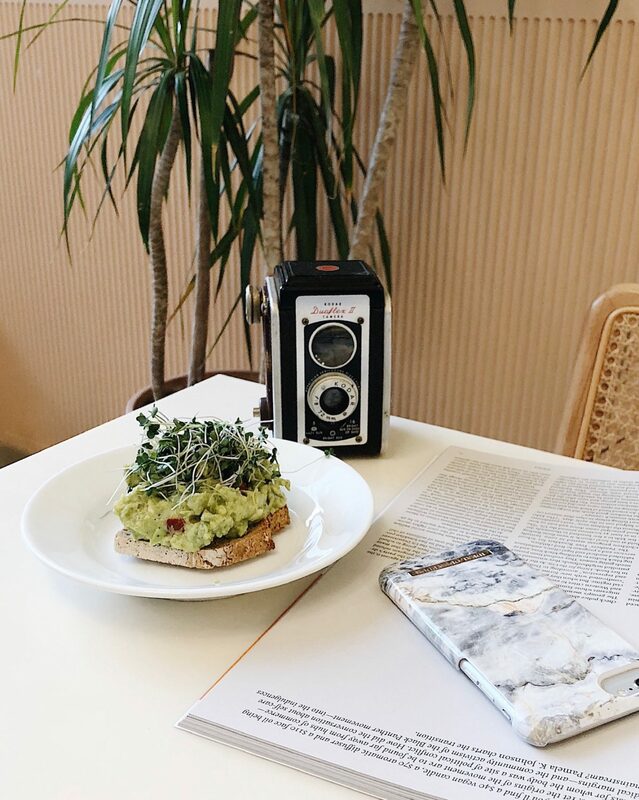 I’m obsessed with the sourdough bread they use on their avocado toast! They’re also known for having one of the best salads in Toronto – I didn’t try it but it’s definitely something next on my list! If you’re visiting the west end, the most popular place to go to for food is Baddies. It was definitely a hot spot. They don’t take reservations and by 10am, they’re already packed. They are recognizable by their “You Beauty” wall so if you think you don’t know it, you may have already seen it on Instagram! They have some of the most aesthetically pleasing dishes you’ll ever see with affordable prices as well. So for great food and coffee for less than $20 total? You’ve got me sold. Crema is a small coffee shop located in The Junction. 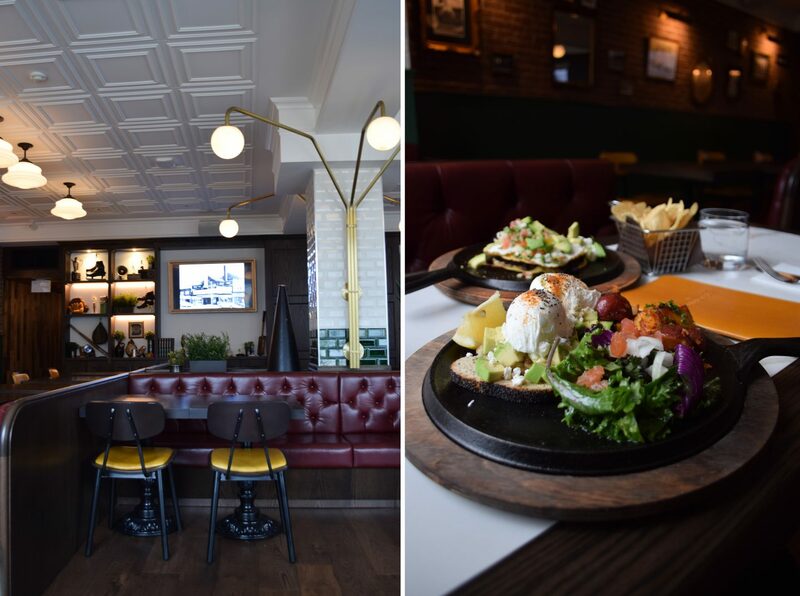 This is another area in the west end that has some great places to visit if you’re a foodie! I wouldn’t say The Junction is for everyone…if you’re looking for cute and aesthetically pleasing places, you’d walk right by the Junction without even noticing. I love this little strip along Dundas St. because it’s full of great restaurants! I discovered Crema because of another blogger/Youtuber, Istiana Bestari when we filmed a collab (that will be coming out very soon!) and love their dulce de leche latte. Last but not least is Dirty Food Eatery. I discovered this place randomly when Noah and I were looking for a place to have brunch. It’s always the perfect place to go when I want a heavy and affordable breakfast! This place actually doesn’t take reservations and gets busy quick as an FYI! Are there any places on the west end that I missed? Let me know in the comments below!